In celebration of the 200th anniversary of Mary Shelley’s immortal gothic horror novel and feminist text, Alumni Park in front of Doheny Library will come alive with a multimedia interactive and live performance extravaganza. At sundown, the music starts and an immersive exploration of spine-tingling sights, sounds, and smells begins! Digital projection mapping will transform the library’s exterior into a vibrant, electronic palette for re-telling the original story of Frankenstein. 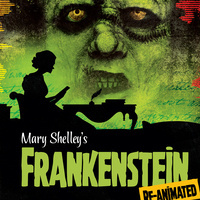 Under the direction of digital artists Akiko Yamashita, Yo-Yo Lin, and numerous USC faculty, dozens of USC students working in animation, interactive media, music, theatre, dance, art and design, and architecture have re-animated Mary Shelley’s enduring classic in stunning fashion. The event will alter your mind about our traditional notions of life, death, and monsters. In front of Doheny Library.